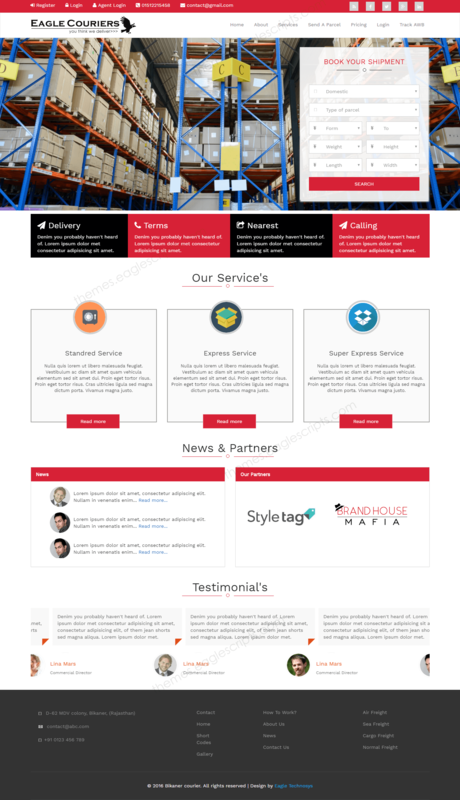 The header part have dynamic logo and certification and contact information. It also have navgiation bar and dynamic slider that can be managed form admin. 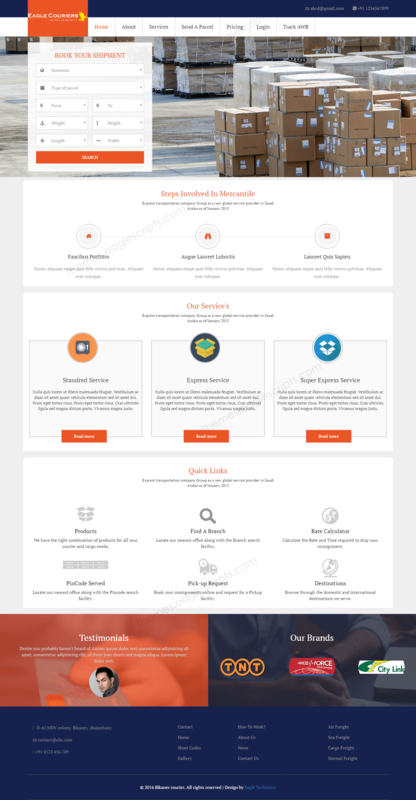 Our Service's gives a brief of services we provide with image, there is also have a read more link that redirect to detail view of service page. The customer review and rating shows on this segment and a also review can be mangaed form admin. The gallery images added by admin show here and each image can be seen on click of the image, and next and pre button are there to see next and pre image on this slider. 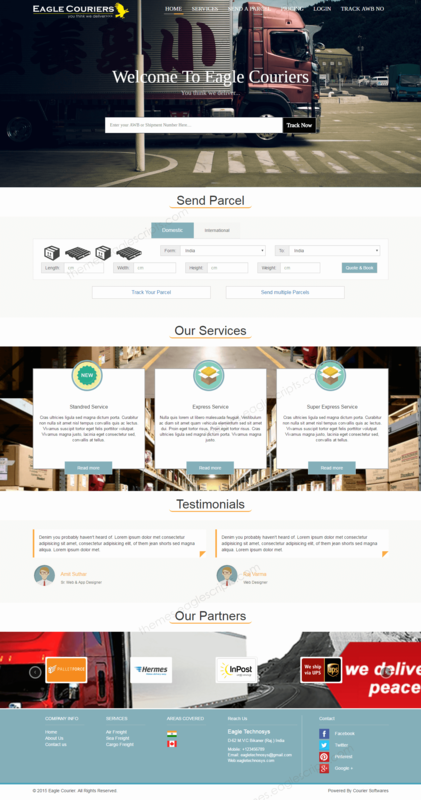 Send enquiry page is for sending enquiry to tha admin requrding any query. You can track your consignment form this page. When user track his/her consignment then the details show here. This News added by admin show here. 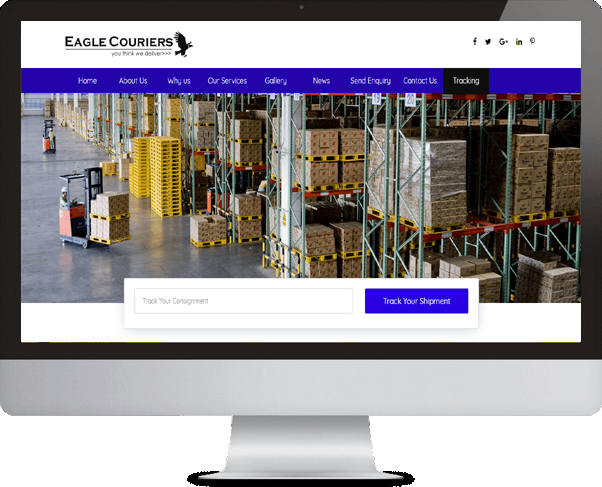 If you running a website already and want a courier tracking feature like this script then it can be used like a new plugin for your current website. Setup this script in your Existing website in just few minutes.